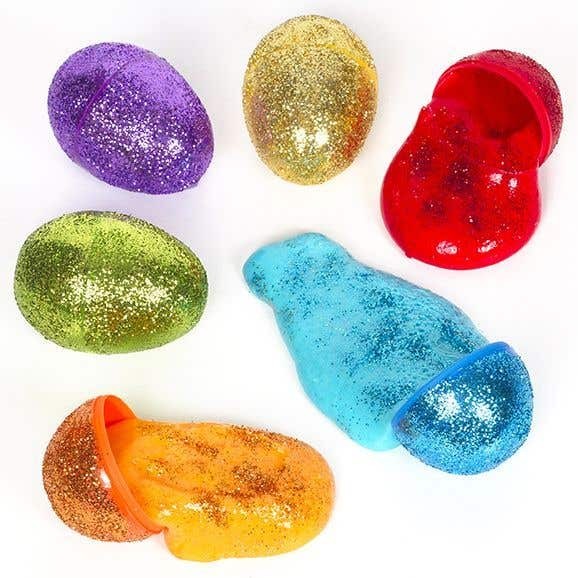 This colourful slime is a great Easter activity, and you can keep it in matching glitter eggs. Pour approximately eight tablespoons of PVA glue into your bowl. Add a few drops of blue food colouring and stir with the spoon until the colour is fully mixed in. Squirt some shaving foam into your mixture, approximately half the amount of the glue, and mix it in with the spoon. Then add a teaspoon of baking soda and mix it again until it is smooth. 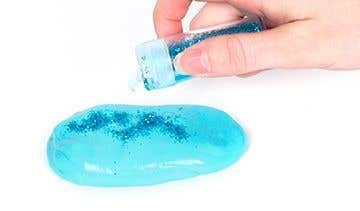 Put your slime on the table and add some blue glitter to it, knead the slime and add more glitter. 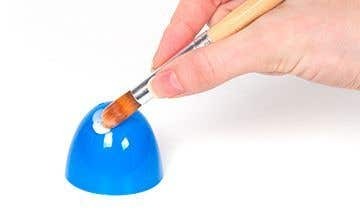 Spread some glue onto the outside of both halves of the blue egg. 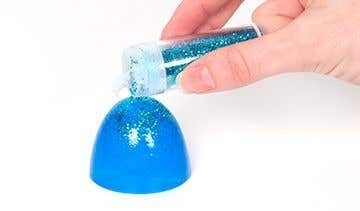 Then sprinkle blue glitter over the glue and leave to dry. Once dry you can put the slime into the egg. Repeat steps 1-6 with each of the different colours. Don't put the egg together until the glue and glitter on the outisde is completely dry, otherwise the egg may stick together.